Last month, the world found out that employees at Wells Fargo created millions of credit cards and bank accounts in their customers’ names without their knowledge in order to get bonuses. As a result, thousands of employees were fired, CEO John Stumpf resigned and the bank was hit with $185 million in fines. We should all be safe now, right? Nope. Unwanted accounts are one of the more common complaints filed with the Consumer Financial Protection Bureau, and Wells Fargo isn’t the only place these complaints have come from. The first bit of advice we have is to keep an eye on your accounts, but that can be trickier than you’d think. In many cases at Wells Fargo, for example, accounts were created with fake email addresses and random PINs to make it harder to customers to find and access the accounts. One way to discover fraudulent accounts is to check your transfers and withdrawals. There are reports that some Wells Fargo employees transferred money from legitimate accounts. If you don’t notice it listed in your transactions, you’ll probably notice when you’re hit with an overdraft fee. Another big reason to be on the lookout for fake accounts is that they can affect your credit score. 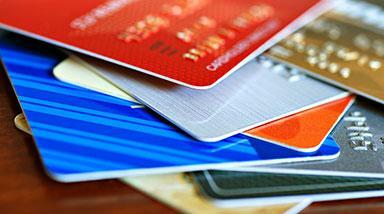 Even if a card isn’t used, it could have fees associated with it. If you don’t see those fees, you’re not going to pay them, and if you don’t pay them, your credit score’s going to take a hit. You’ll feel that next time you take out a loan. In the case of Wells Fargo, the company has been reaching out to people who had credit card accounts opened in their name and gave them the chance to keep or close the account. If a customer decides to close it, the bank will reach out to the credit bureaus and make sure any negatives from it are removed from credit reports. So make sure you’re checking your credit reports regularly. See if you can find any accounts that look suspicious or unfamiliar. Get what details you can about the fraudulent activity and report it right away to the credit bureaus.